At about this time last year I published a video that showed you how to download the history of the messages that you sent through Remind. Since then the process has changed slightly. 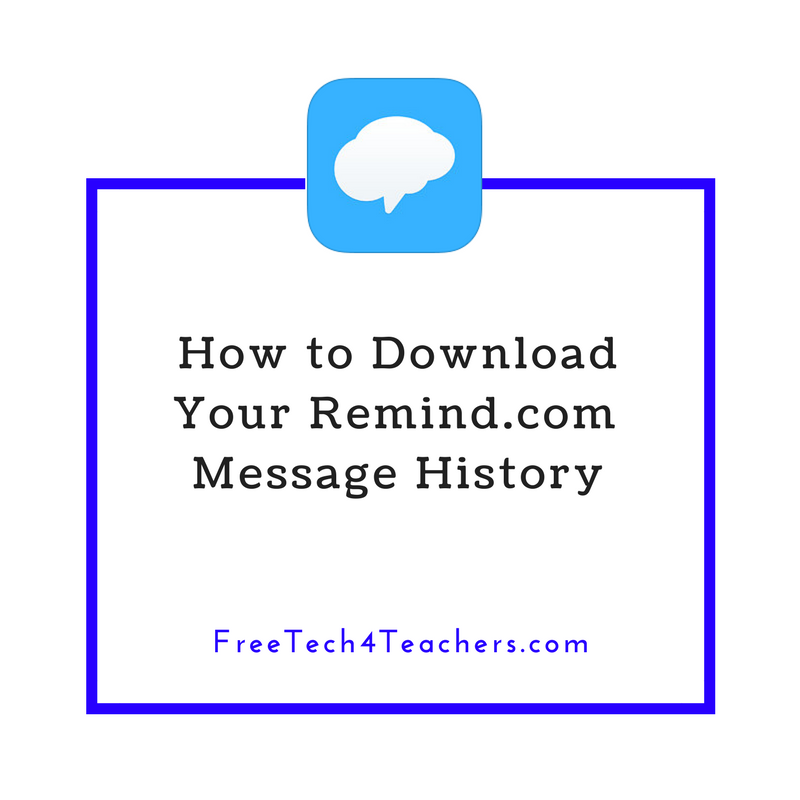 In the new video embedded below I demonstrate how to download your Remind.com message history. 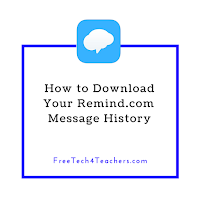 You might want to download your Remind.com message history to save as a record to show your efforts to reach out to parents to keep them informed of what was happening in your classroom and your school as a whole.